An estimated 742 gallons of oil have leaked into the Snake River at Lower Monumental Dam near Kahlotus, the Army Corps said Tuesday. The oil slowly leaked from a hydroelectric generator unit over seven months. Unit number two was shut down and an investigation launched when maintenance workers detected a discrepancy in the mass balance of turbine oil at the dam's powerhouse on Aug. 3. "Because unit 2 is the primary generator at LoMo, it is constantly in operation. 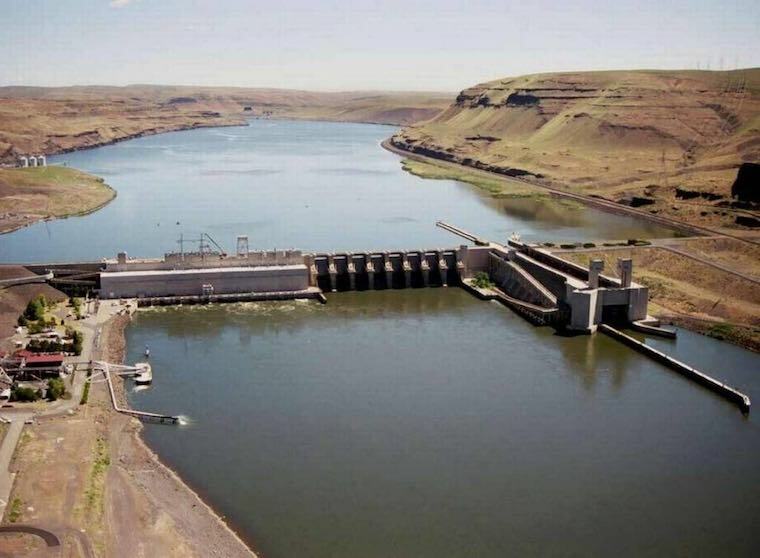 A slow leak like that, releasing a very small volume of oil per hour, wouldn't likely be very noticeable in the water during normal operations," said Don Redman, the Corps' Walla Walla District environmental compliance coordinator. Maintenance workers at the dam were preparing to remove remaining oil from the turbine hub Tuesday, preventing any additional unintended release of oil into the river. The unit will remain out of service until repairs are done. State and federal regulators have been notified of the river contamination.